We've started a new sign in system to help us grow our subitizing and number sense. 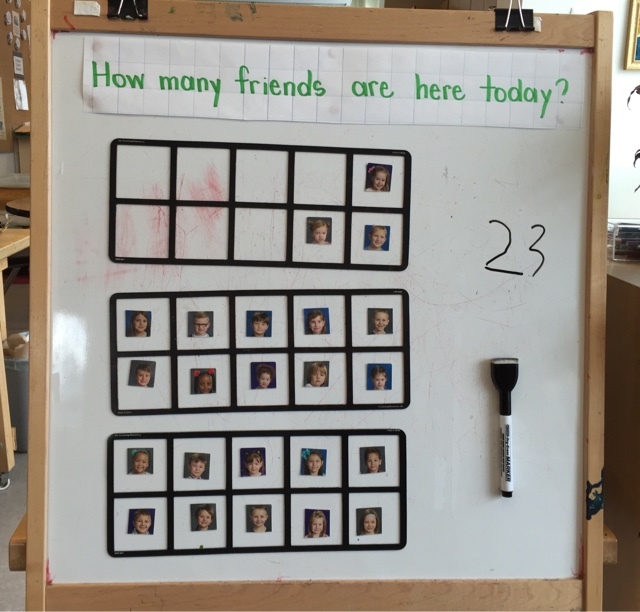 Each day when children arrive they can sign in to show they are present at school by putting their picture magnet on a ten frame. During morning circle we will count to see who is at school.